Every online casino likes to offer its players the ultimate gambling experience. This consists of awesome games to play and amazing promotions to claim. Exciting UK bonus codes make the difference between a superior online casino and a mediocre one. Sun Bingo is fully aware of this aspect so it comes with unique offers that will surely satisfy everyone. New and veteran gamblers are able to have fun together at this online casino. As a novice on the platform, you are entitled to grab a great welcome offer that comes with extra funds. These are perfect for you because will give you the boost you need. Beginnings are never difficult at Sun Bingo casino. All the experienced players in the UK can have tons of fun with the promotions created just for them. The extra bonus is valid on all the games you desire to play, from slots to bingo games. This incredible platform comes with a wide variety of deals. From themed promotions inspired by seasons or sports events to tournaments and weekly opportunities to prove your value. Promotions here come in all shapes and sizes so make sure you check them all out and see which ones best suit your gaming style! If you want to cash out, you must meet some specific requirements. You’ll discover this information and more if you read the Sun Bingo bonus terms and conditions. Don’t waste your time searching for offers because you can find the best ones on the list below. 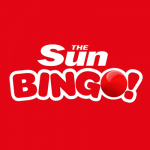 Cherry-picked just for you, these Sun Bingo bonus codes will bring you hours of entertainment. 30 bonus spins that work only on Maji Wilds, Dragon Champions, Jackpot Giant, Tinderbox Treasures, Buffalo Blitz, Age of the Gods Furious Four, Batman & Riddler Riches, Heart of the Frontier and Gladiator - Road To Rome. It’s so easy to become a member. Simply provide your personal data to sing up and keep in mind that you need to make a qualifying deposit and spend it on bingo tickets to become eligible for the bonus. But there’s more because this offer comes with a unique opportunity to participate in the race for up to £1000. Read the terms and conditions for further information. Cash out only after you’ve wagered the bonus and the winnings from the spins 30 times. The bingo offer has a wagering requirement of 3 times the bonus amount. Blimey, is this deal for real? 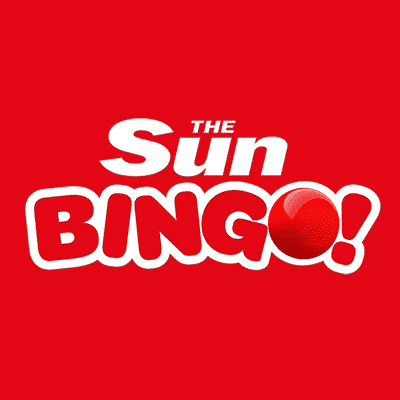 Keep up with the latest news in gambling with Sun Bingo Casino! This gaming site has everything you wish for, from exquisite games to a great intuitive interface and promotions that can fit the status of every player. Are you a novice at this platform? You can benefit from a great first deposit bonus that comes with lots of goodies. Create an account on the bonus page, deposit £10 and you can play with £40. You will obtain £10 games bonus and £20 bingo bonus. But this is just the icing on the cake because you are able to have fun with 30 bonus spins, which are valid only on Maji Wilds, Dragon Champions, Jackpot Giant, Tinderbox Treasures, Buffalo Blitz, Age of the Gods Furious Four, Batman & Riddler Riches, Heart of the Frontier and Gladiator - Road To Rome. Also, you can benefit from the opportunity to get up to £1000. Check out the promotions terms for any information. Wager the bonus amount and the winnings from the spins 30 times before you make any withdrawals. Also, the bingo deal comes with a 3-times wagering requirement of the bonus. The promotion is valid until 14th of May. Everything you need in one place. Take a look and have some fun! Get to play your favourite content. £20 bonus valid on bingo games. Wager the bonus amount 30 times for the slots offer and 3 times for the bingo bonus. It's a treat out of this world - can you handle it? Britain's most popular and loved bingo brand is here to prove it has plenty to offer on the table and slots games side too! Let's give Jayde Adams a run for her money by challenging her to a game of your choice, it being your favourite slot game, blackjack or bingo. Keep an eye on the daily prize draw. Be an informed gambler and throw an eye on those terms and conditions. This brilliant bonus come with , £10 Side Games bonus which must be wagered x30 before withdrawal and £20 bingo bonus which must be wagered x3 before withdrawal. Raise up to the challenge! You are lucky, fellow gambler, because Sun Bingo casino is waiting for you with a great first deposit bonus! Become a member and deposit a minimum of £10 to receive a 300% bonus up to £40. £10 of the money can be used on slots and £20 on bingo games! You must know that before making any withdrawal, you must wager the slots bonus 30 times and the bingo one 3 times. Benefit from this offer and unleash your passion! Sun Bingo casino is the perfect platform where you can begin your gambling journey. Access the online casino by clicking the link below and becoming a member on the promotional page you will be redirected to. If you deposit £10, you will get to play with £40. The £30 bonus is valid for both slots and bingo games. £10 will be available for slots and £20 for bingo games. Wager your slots bonus 30 times and the bingo one 3 times. Get this offer and start the fun! Sun Bingo casino has been in the industry for a very long time now and it sure knows how to treat its new British customers. So, all fresh gamblers that join this platform are invited to benefit from everything that this online casino has to offer. Entertaining games, first-rate goodies, and many surprises! On your first payment of higher than £10 you can claim a 300% bonus up to £30. In order to get this promotion, you must access the gaming platform through us, register on the page with the required information and fund your account. You will receive a £10 bonus that works on slots and £20 bonus that is valid on bingo games. Take under advisement that you must wager your slots bonus 30 times and the bingo one, 3 times. This deal is available until 14th of May 2019. Have a blast playing here! Get tickets that cost between 10p and 25p. Gamblers have the option to obtain a share of the total prize pool of £10 000. Create the best strategy and enjoy your time. This promotion ends on 8th of March 2019. Have a riot with this tournament!